Ahoy, ready for some salty talk? Meow Talk Like A Pirate Day with cats. 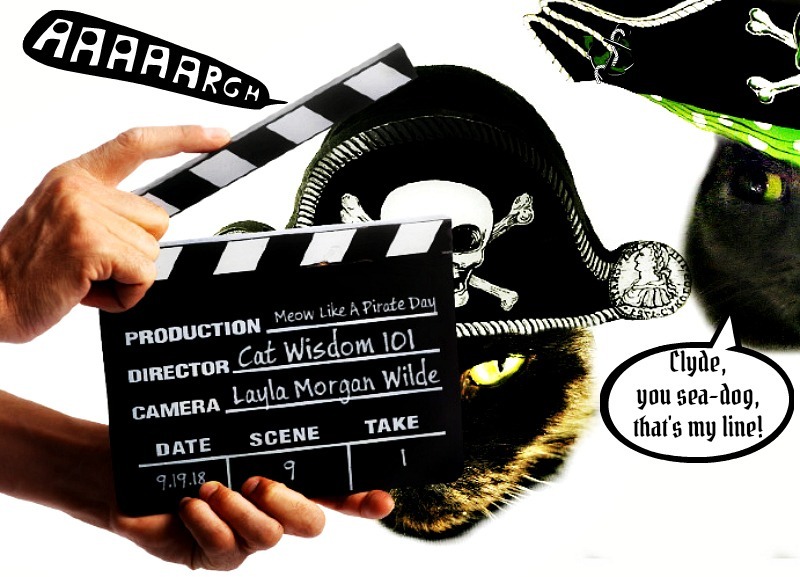 We co-opted Talk Like A Pirate Day for Cats in 2011. It made purrfect sense and Meow Like a Pirate Day is a fun day in our community for pirate-themed dress-up and other shenanigans across the seven seas. Last year, we compiled our favorite graphics and explained why black cats were considered lucky for pirates. 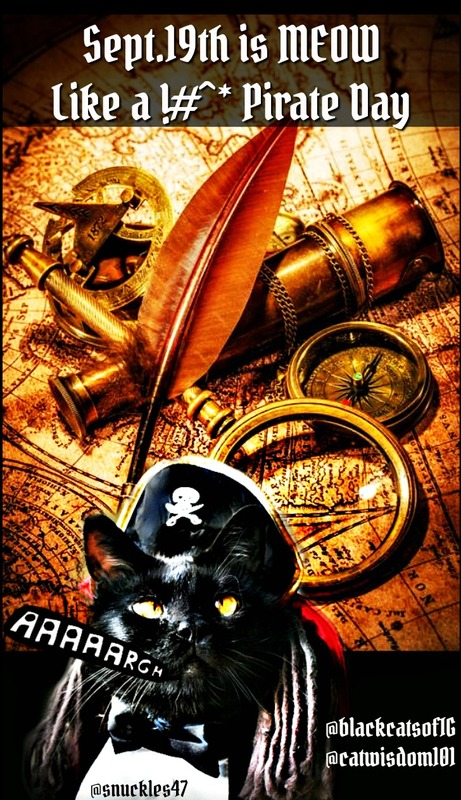 Shiver me timbers, Matey, our friends at Dash Kitten have a blog hop with pet pirates of every stripe. Go and have a grog on us. Cat’s Foot. To live under the cat’s foot; to be under the dominion of a wife hen-pecked. To live like dog and cat; spoken of married persons who live unhappily together. As many lives as a cat; cats, according to vulgar naturalists, have nine lives, that is one less than a woman. No more chance than a cat in hell without claws; said of one who enters into a dispute or quarrel with one greatly above his match. Cat sticks. Thin legs, compared to sticks with which boys play at cat. Cat’s Sleep. Counterfeit sleep: cats often counterfeiting sleep, to decoy their prey near them, and then suddenly spring on them. Cat’s Paw. To be made a cat’s paw of; to be made a tool or instrument to accomplish the purpose of another: an allusion to the story of a monkey, who made use of a cat’s paw to steal a roasted chestnut out of the fire. Cat of Nine Tails. A scourge composed of nine strings of whip-cord, each string having nine knots. It was used to whip sailors or pirates aboard ship. Cat-Heads. A woman’s breasts. Sea phrase. Cat Call. A kind of whistle, chiefly used at theatres, to interrupt the actors, and damn a new piece. It derives its name from one of its sounds, which greatly resembles the modulation of an intriguing boar cat. Cat Harping Fashion. Drinking cross-ways, and not, as usual, over the left thumb. SEA TERM. Cat in Pan. To turn cat in pan, to change sides or parties; supposed originally to have been to turn a cake in pan. Cat Lap. Tea, called also scandal broth. This year, one of the cats featured in our book @snuckles47 inspired this year’s graphic. Our crew would not cooperate with any major production. Those scallywags! This is an oldie of Odin and our beloved Angel Radish. Last year, variations on a pirate cat video went viral on Instagram to no surprise. The pirate costume was a popular choice last Halloween. If you are inclined to dress up Kitty, take into consideration all safety factors. We prefer celebrating with photo editing but this video is hysterical. Cheers to smooth sailing on Talk Like a Pirate Day, cats! My pleasure and yes, some of those 18th century saying are misogynistic. We’re progressed since then but not enough. Arrgh, mateys! That be some right fine pirate knowledge in that post. Happy Pirate Day! Amazing pirating going on here! Thanks for the laughs and learning! I had to share that video and tag you on Facebook. I had not seen it before. 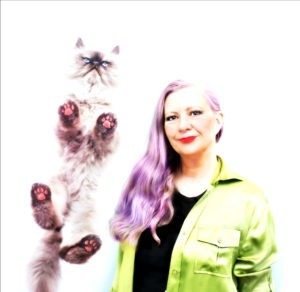 I’m so happy you joined the Pet Parade Blog Hop. Happy Meow Like a Pirate Day! I’ll have to remember some of those terms. Love the video. And the post. Happy Pirates Day. A cup o Catnip Grog to all!!! Arrr, new matey! Me learned me a few new piratey sayin’s by reading this ‘ere post! Thanks fer taking to the seas and fer showing yer pride in the pirating ways! Ye should be very proud! this is one pawesome Pirate post! Thanks for sharing all of that info that we didn’t know! Indeed! I was surprised how many derogatory terms have cat in them. It’s good to know where some prejudices may spring from. What a great post for talk like a pirate day. Fun. Such a purrfect pirate day post, ye be rockin’ it!